8/12/2008Share this story on Facebook! 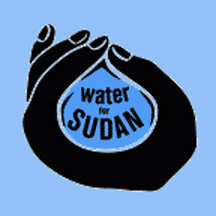 The committee is well on their way to meeting their goal of $5,000.00, which will enable them to build a well in Sudan. The group raised money through fund-raisers like the meal sign-away in which students donated the cost of a dinner from their weekly meal plans to WFS. They also raised money through a coin drive and other donations. The group hopes their efforts will be heard by those in power and that the small steps they take will become part of a national movement that will inspire change. The conflict in Darfur started in 2003. It is an ongoing battle between the Janjaweed, a government-supported Arabic militia, and the non-Arab people of the Sudanese region. The committee raises student-awareness of the human rights violations in Darfur by hosting speakers, screening documentaries, and working alongside Cornell University’s anti-genocide group, STARS. In April the groups worked together to host “Dream for Darfur: A Two-Day Academic Symposium on the World’s Darkest Olympics.” The event featured speeches by Adam Sterling, director of the Sudan Divestment Task Force and star of the documentary Darfur Now, and Mohamed Yahya, the executive director of the Damanga Coalition for Freedom and Democracy. On September 20th, WFS will hold a benefit concert on the Ithaca Commons to continue their fund-raising.